Is tankless water heating right for you? Jarvis Heat & Air, LLC helps you decide. 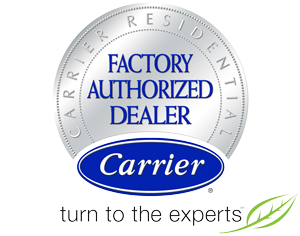 We provide honest answers, knowledgeable recommendations, and seamless installation of on-demand water heaters in Gainesville, FL and surrounding areas. Our highly trained and experienced team completes all jobs quickly, meeting the specific demands of your household and providing an endless supply of hot water. That’s right! With tankless water heating, there’s no waiting for water to warm up and no running out. Enjoy the Efficiency of a Tankless Water Heater! While tankless water heating is a significant investment, this innovation pays for itself. There are no standby energy losses caused by storing and reheating water in a tank, and when installed properly, the system requires only minimal maintenance and should last twice as long as a conventional alternative. Plus, these compact units free up space, avoid the water supply absorbing contaminants, and eliminate potential property damage from a rupture tank. Call Jarvis Heat & Air, LLC for tankless water heater repairs, maintenance, and installations! Installation of a tankless water heater should always be completed by a fully licensed, insured, and trained plumbing professional. Our specialists not only fulfill the stipulations of the manufacturer’s warranty, but optimize system performance. Whether you’re looking for new installation, equipment upgrades, cost-effective maintenance, or repair, Jarvis Heat & Air, LLC is the right call to make. We combine quality equipment, parts, and workmanship, offer helpful financing, and remain on call for 24/7 emergency service throughout Gainesville, FL.